For quality dental care for you and your family in Nabiac, Forster Dental Centre is the dental practise to trust. Whether it be a simple or a complicated dental procedure, we can surely help! Not only do we treat your dental needs in our office, we also equip you, our patients, with ample knowledge and skills to care for your teeth even in the comfort of your home. Together, we can achieve prime oral health for a lifetime! Every year our staff commit at least 20 hours to enrich our knowledge and skills in dentistry. Relevant training and seminars that promote continuous professional growth are explored by all members of your Forster Dental Centre team. We want to improve in all aspects to provide better service every time you visit. Expenses may come with achieving your dream smile. You have to invest money to get the dental treatment you need. To make our services more accessible and convenient, we have payment plans available. We also accept cash, Visa, Mastercard, and EFTPOS. Claim your health fund rebates at point of sale with HICAPS at our dental clinic to minimise your out of pocket expenses. Our dental procedures are comfortable and are patient-centred. 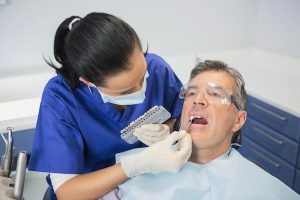 For patients with dental anxiety, we have sedation techniques available. Be prepared in the face of dental emergencies with the help of your emergency dentist in Nabiac, Forster Dental Centre. We have a same-day emergency appointment to relieve you of your pain as soon as possible. Our team is highly experienced in all kinds of dental emergencies so you don’t have to worry.